This is the story of Dingo, Wombat, Crow and their friends as they struggle to exist alongside the devastation of mining that is tearing up their beautiful homeland. This powerful children’s parable/cautionary tale on the destruction and havoc that mining causes to the land and to community is both touching and hard-hitting. 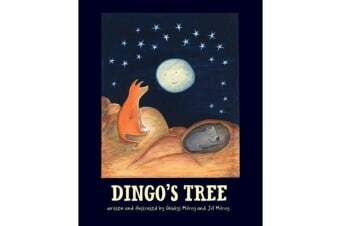 Book consists of four chapters: Dingo’s Tree, The Raindrop, The Tree that Walked and The Last Tree.